On November 28, 2008 the Bah�'� community will commemorate one of its holiest days, the Ascension of 'Abdu'l-Bah, with an evening of scriptures, prayers, music and festivities. Today, the Bah�'� community consists of five million members who live in 189 countries and 46 territories. The one place where Bah�'�s remain deeply unwelcome is Iran, the incubator of their faith. There are 350,000 Persian Bah�'�s and they constitute the largest religious minority in Iran but Iran's constitution recognizes only Islam, Christianity, Judaism and Zoroastrianism as legitimate religions. Bah�'�s are considered heretics by Iran's clergy because Bah�'u'll�h denied that Muhammad was the last prophet by claiming that he himself was the latest prophet of God. "The idea of a new prophet after Mohammed is heretical under Islamic theology," said Mohammad Fadel, a professor at the University of Toronto Law School who teaches "Religion and the Liberal State: The Case of Islam." Erfan Sabeti, a Persian Bah�'� and Ph. D. candidate in Religious Studies at Lancaster University England, is proud of his faith although he's suffered for his outspokenness. "One day, I was slapped by a teacher four times in front of my classmates and called an impure infidel who would pollute the Koran," said Sabeti. Bah�'�s like Sabeti who openly declare their faith are denied university entrance in Iran. "The Iranian government restricts education to dumb down and under-develop our community in hopes of preventing the transmission of culture, leaders and heritage," said Sina Mossayeb, who is a History Ph. D. candidate at Columbia University and is writing his doctoral thesis on religious minority groups in Iran. In May of 2006 the authorities arrested 54 Baha'i youth who were teaching English, math, and other non-religious subjects to underprivileged children in the southern city of Shiraz, according to Human Rights Watch. None of the Baha'i youth were charged with a crime. In 1987, the community started an underground institution called the "Bah�'� Institution for Higher Education." Sabeti attended the institution from 1994-1998 and recalls delivering exams through an amateur postal service run by young Bah�'�s on motorcycles. "In my days, we ran a lot of classes in people's homes but today it's safer to have sessions online and correspond through e-mail," said Sabeti. Growing up Bah�'� in Iran is comparable to growing up an "untouchable" in India. "I felt discriminated against in school and still remember the abusive words of other students," said Kambiz Hakim who left Iran for England in 1963 and now lives in New York City. "The Bah�'� faith is misrepresented because the majority of people don't think for themselves and just listen to the mullahs." He added sadly, "It's so strange because Bah�'� is the most tolerant and accepting religion. The mullahs see us as a threat." All national and local Bah�'� administrative institutions have been banned by the Iranian government, and Bah�'� holy places, cemeteries and community properties have been confiscated, vandalized, or destroyed, according to the Bah�'� International Community. The government continues to deny the community permission to publicly worship or pursue religious activities, according to Human Rights Watch's World Report 2007. According to Lawson, the Bah�'� faith is often regarded as a "Western conspiracy"-since many Bah�'� were seen as "in the Shah's pocket"-with Zionist leanings. 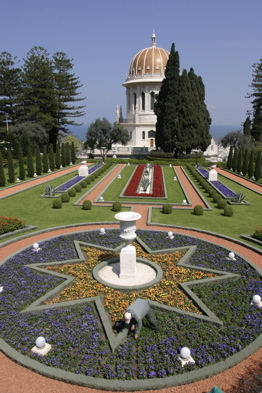 The Baha'i World Center is located in the Haifa/Akka area in northern Israel, which complicates life for Persian Baha'i given the tense relations between Iran and Israel. "Bahais and Wahhabi was the work of colonialism," said Khan Madrasehr who teaches at the Khan Theological School in Shiraz, Iran. "They are one of the plots of the Super Powers to create turmoil and catch fish from the troubled water." In Iran, more than 200 Bah�'�s have been executed or killed, hundreds more have been imprisoned, and tens of thousands have been deprived of jobs, pensions, businesses, and educational opportunities according to the Bah�'� International Community. "Over the past ten years, the situation has deteriorated with an increase in detentions and seizures of properties," said Aaron Emmel, a spokesman for the Human Rights Office of the Bah�'� of the United States. "Private letters were recently released regarding the government's policy of monitoring and identifying Bah�'�s, which is just one of the new ominous developments," he said. Amnesty International published a public inquiry seeking clarification of the letters. Earlier this year, Iran sentenced three members of the Bahai faith to four years in jail for security offences and 51 others to suspended prison terms. Although the Bah�'�s situation has deteriorated in recent years, stigmatization predates the 1979 Islamic Revolution. "The Bah�'�s have always been the pariahs of Iran much like the Jews of Europe," said Todd Lawson, professor of Near and Middle Eastern Civilizations at the University of Toronto who has published on the Bah�'� faith. "Iranian politics is so fractured that there's a certain state of unrest in which Bah�'�s are the political football." The Bah�'�s' lack of a religious hierarchy, willingness to proselytize, and strong emphasis on equality between men and women may also account for the discrimination they face in modern Iran, according to Mouhebat Sobhani who is a dissident scholar and Bah�'� activist. "In the Bah�'� faith there is no clergy and therefore no taxes to pay to a clergy," said Sobhani who believes there is an economic element involved in the ongoing persecution. "We are considered a threat so we cannot attend university, get government jobs, or expand our businesses," said Sobhani who came to New York City in 1963 to study accounting and later compiled "Bah�'�: Teachings for the New World Order." He says the book is covertly distributed in Farsi in Iran's underground Bah�'� universities. Sobhani says he has many Muslim friends interested in his faith and faults the Iranian government, not the people for religious intolerance. Due to the level of repression in Iran, it's difficult to even guess if the Bah�'� faith is growing or declining in numbers but some Bah�'� activist are using the increased fluidity of information to proselytize online. "Young people are becoming more knowledgeable and sophisticated and more women are educated so a lot is changing," said Sobhani. "We have thousand of people getting interested in our religion by studying on the Internet." 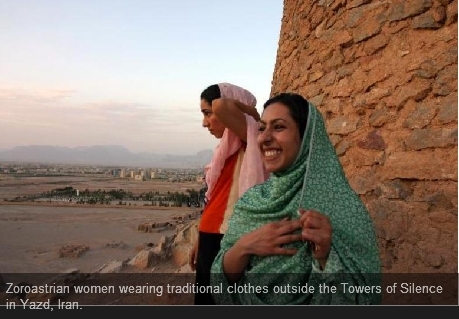 Despite religious persecution, Persian Bah�'�s are not emigrating in droves. "Iran will always be the cradle of the Bah�'� faith so we will never be a purely Diaspora community," said Sina Mossayeb, a History Ph. 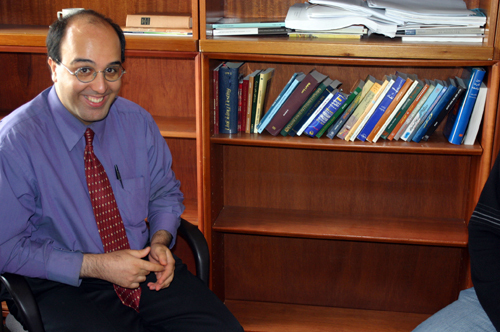 D. candidate Columbia University who is writing his doctoral thesis on religious minority groups in Iran. "Two of our very important holy sites are in Iran so Bah�'�s of the world will always look in its direction," he added. One reason why many Bah�'�s remain stationary is because the Persian citizenry is far less prejudiced than their theocratic government, according to vast majority of Bah�'�s interviewed for this article. "There are many complexities of Iranian society because whatever comes from the government is hated by the people," said Hani Mansourian who grew up a Muslim in Tehran and came to New York last year to study at Columbia University's School of International and Public Affairs. "Because Bah�'�s are despised by the government, the people automatically love them." He added, "They are considered one of the best minorities in Iran in terms of their assimilation. They are known to be very good and reliable businessmen. People think they're trustworthy." Some Bah�'�s believe their faith has a better chance of resonating with the next generation. "Today's kids were not as exposed to the propaganda of the 80s so the Bah�'�s are benefiting from this by reeducating people about their faith," said Mossayeb whose parents are Persian Bah�'�s living in Los Angeles, CA. "I think a lot of Iranians are interested in the Bah�'�s as an alternative to the theocracy because it shows we can be morally conservative but socially progressive," he said. "There are many principles in the Bah�'� faith that are universal."